We were delighted to receive a recent donation to add to our sporting display. 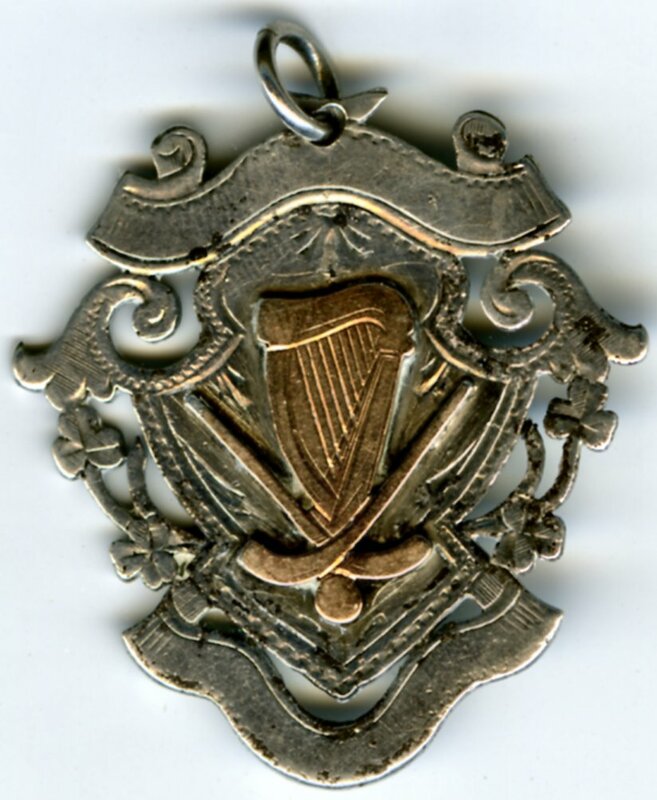 It is a County Championship final medal for hurling between Ballyduff Lower and Clonea. 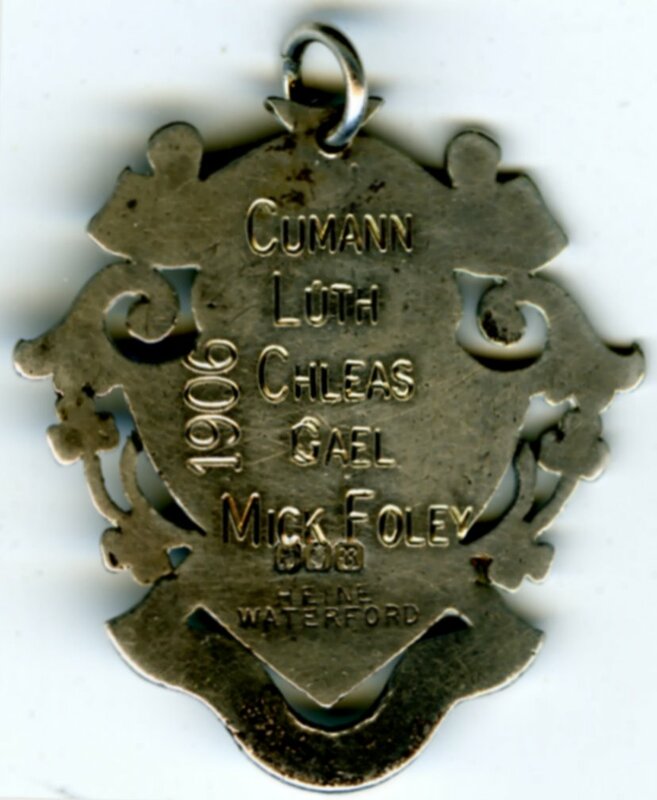 It is inscribed: Cumann Luth Chleas Gael, Mick Foley - 1906 and has the makers mark of "Heine Waterford". 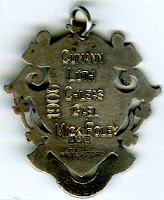 Mick's parents were John Foley and Mary Cunningham. John was a journeyman stonemason, originally from Ardmore. He was based at Ballynageragh, Dunhill. He met Mary Cunningham at her home in Boulattin and they were married in Kilrossanty Church in 1876. Mick became an apprentice carpenter, when he finished his work in the evening he would strap his hurley to his back and swim across the river Suir to play a match at Luffany, Mooncoin. In 1915 Mick married Mary O'Brien of Lismore and they settled at Knockrower, Stradbally. 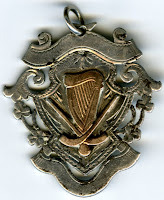 The medal was presented to the museum by Mick's son Tom Foley. Our thanks to Tom for this most generous donation.